MacBook Pro - do I not have a PAID subscription for this program? I have a paid subscription for password that I have been using on my IOS devices (iPad mini 4 and iPhone XR) for over a year already and after having significant issues trying to use this on my MacBook Pro twice already, I want to try again. I went to download this but I am not sure whether I am able to download the program or not... it says to try the program for 30 days but it also says to download the program in beta form and there is some other information there as well... I'm not sure what to do. I don't intend to pay for a second subscription when I already am paying for one... Please help. Can you please share a screenshot of the window that you are seeing, the one that is showing all the information you mentioned? I am not sure I understand. 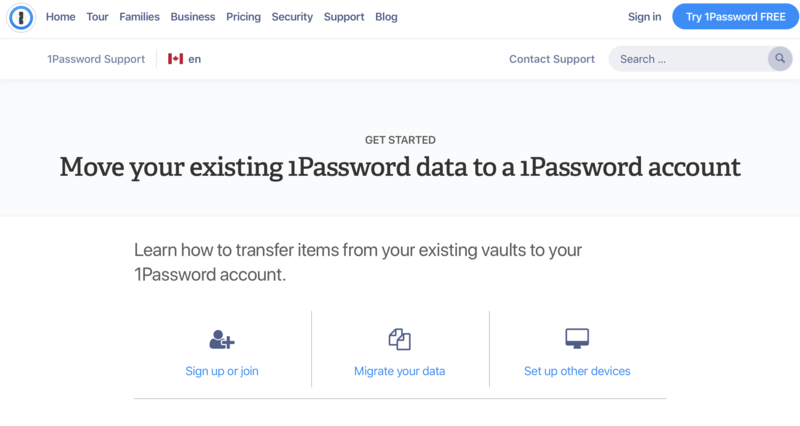 You posted three screenshots from the 1Password website, but are you having issues with the 1Password app, or are you stuck at an earlier step still and are looking for guidance? If you need to download the app, you can do so from the downloads page. Are you able to download and install the app from there, if you haven't done it already? I see the option to migrate now but when I choose the options the only option I have is either 1password which will bring in the vaults I guess from my Mac... or the three dots and I don't understand that choice. it scares me because I am terrified of losing the passwords that already exist on my IOS devices by doing something wrong in this process. Let's take this one step at the time. 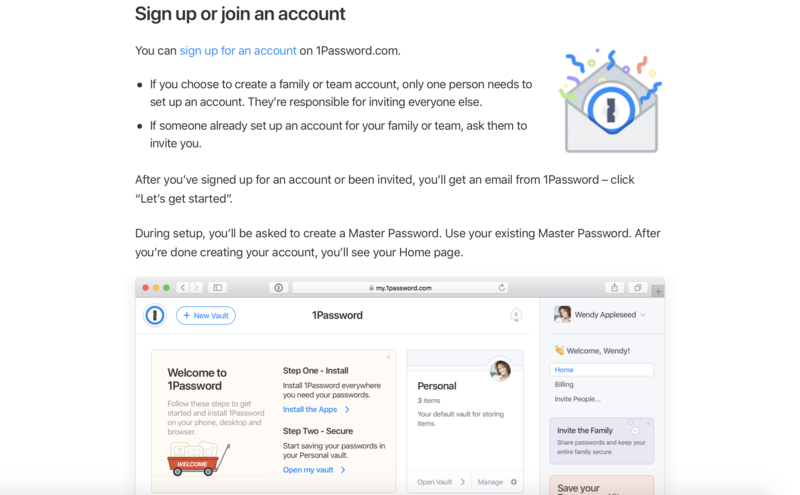 Have you downloaded the 1Password app for Mac using the link I shared in my previous post already? 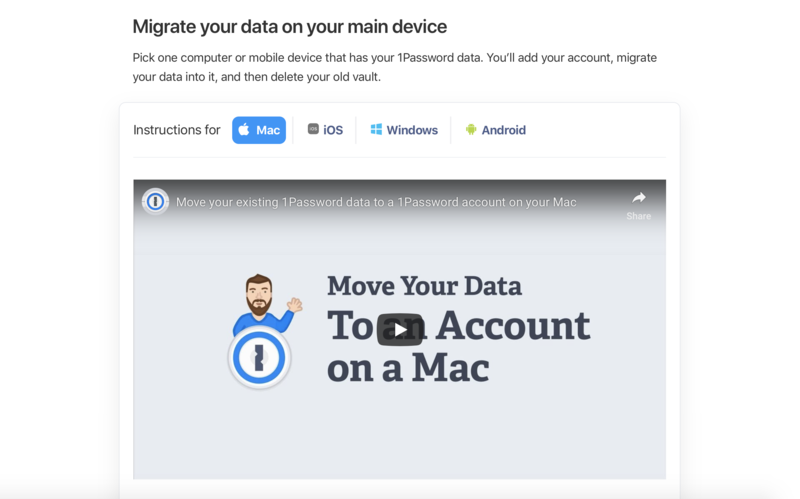 You will need the 1Password app to do the migration in any case, so let's start from there. I went through the instructions for migrating my account but I already have all my vaults in place... I don't want to duplicate them again by importing them a second time. It seems that for some reason, it is the PROGRAM that isn't installed and I am not sure how to get that again as I have the paid subscription so I don't want to pay for that again. Something strange is happening but I'm not sure where I am going wrong here. I was able to use the download but I got the message that my Mac had been removed prior. I tried syncing with icloud and that didn't work as I only had 4 items in vault (I have no idea why that is the case - I assumed that iCloud was syncing my passwords but apparently it is not doing that... ) so I obviously need a different way to sync with my other two devices. That way I can "connect the dots" when I see your diagnostics in our inbox. You should receive an automated reply from our BitBot assistant with a Support ID number. Please post that number here so I can track down the diagnostics and ensure that this issue is dealt with quickly. Yep; that appears to have a report from the iPad attached. Did you get a chance to send one from the Mac? We'll need the support ID for that as well when you get a chance to send it.